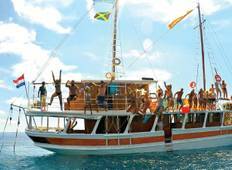 Up to 15% off trips from Busabout. Find 86 tours with discounts, with tour pricing starting from only $7 per day. "Anna was an incredible guide! She was informative, fun and friendly. 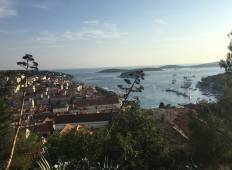 She really knew..."
"Excellent way to explore Croatia! Lydia was an amazing guide, super easy to talk..."
"Best week ever, would defs recommend"
"The tour was well planned and guided. Wes was an amazing tour guide. He was knowledgeable..."
"The trip destinations were great. Bus was comfortable, driver was competent. Please..."
"Wes made the tour! Legend of a bloke, understanding, witty, kind and intelligent,..."
"Shea was the one of the best tour guides we've had! She knew lots of information..."
"Great way to see eastern Europe. Our Tour guide Will and our busabout driver Florin..."
"Awesome tour! Great people and amazing sites. Really good variety! Delicious food...."
"Fantastic experience. From our crew and guide to the food, nothing could have been..."
"Was an amazing week. Loved every second and everything we did and saw. Will highly..."
"Carlos was the best tour guide anyone could ask for. He was friendly, knew tons of..."